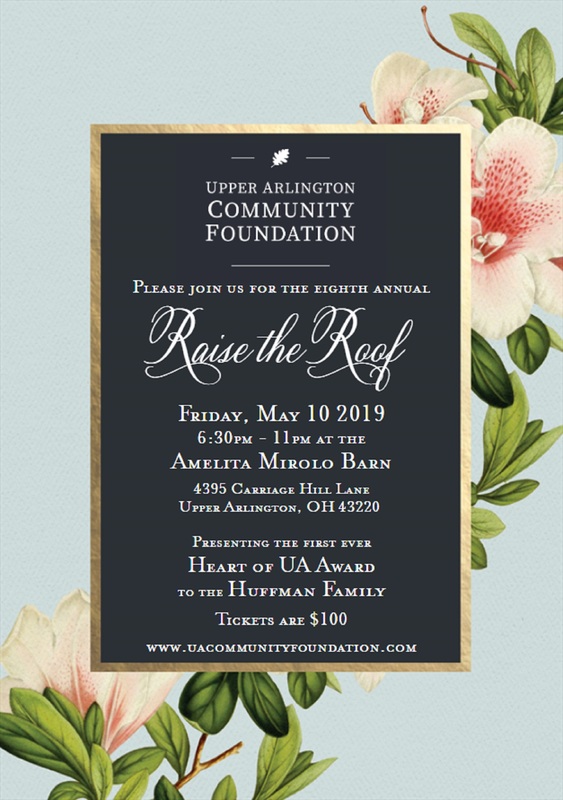 For the eighth year in a row, the Upper Arlington Community Foundation is hosting our Raise the Roof event. Mark your calendars for a night of live music, food, and celebrating the generous donors who help make Upper Arlington great. Call 614-451-0700 or email tharbold@uacommunityfoundation.com with questions.